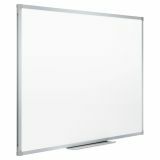 6' x 4' whiteboard size. 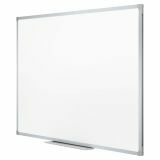 Mead Dry-Erase Board, Melamine Surface, 72 x 48, Silver Aluminum Frame - Never forget another meeting with this versatile dry-erase board. 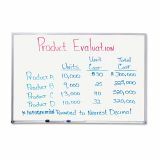 The dry-erase melamine surface makes writing less of a chore and cleans up fast. 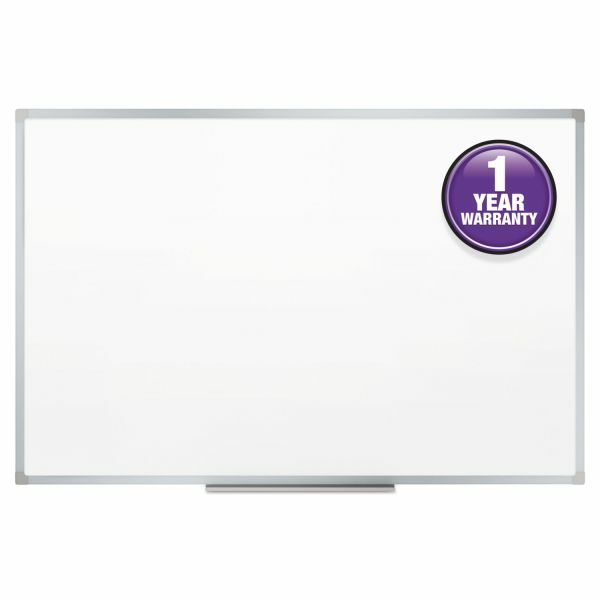 Use the board to jot down important reminders, or use it to map out a new business strategy. 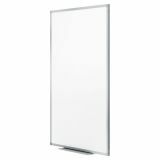 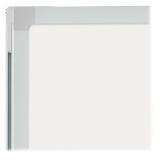 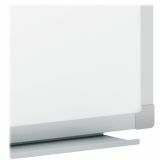 This durable board hangs horizontally and vertically, and is easy to install with the included mounting hardware. 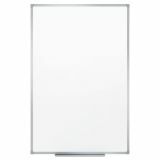 The aluminum finish frame blends into any occasional-use small commercial or home office.